Acumatica: What Really Matters – Cloud ERP or Deployment Options? There is a big movement in the ERP market these days involving Cloud ERP vs On-Premise ERP and every analyst out there is predicting big things for Cloud ERP. It seems like there are new Cloud ERP vendors popping up every day. Even the traditional ERP vendors are building Cloud products. Of course, the traditional vendors are pretending that they are moving their existing product into the Cloud, but the reality is that they have to build an entirely new product because the underlying technology framework is so different. 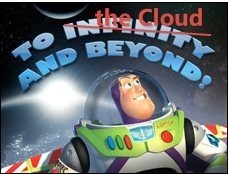 Most of the analysts out there sound like Buzz Lightyear: “to the Cloud and beyond.” There seems to be infinite expectations and grand projections about where things will be in the next 5-10 years. But where are we today?